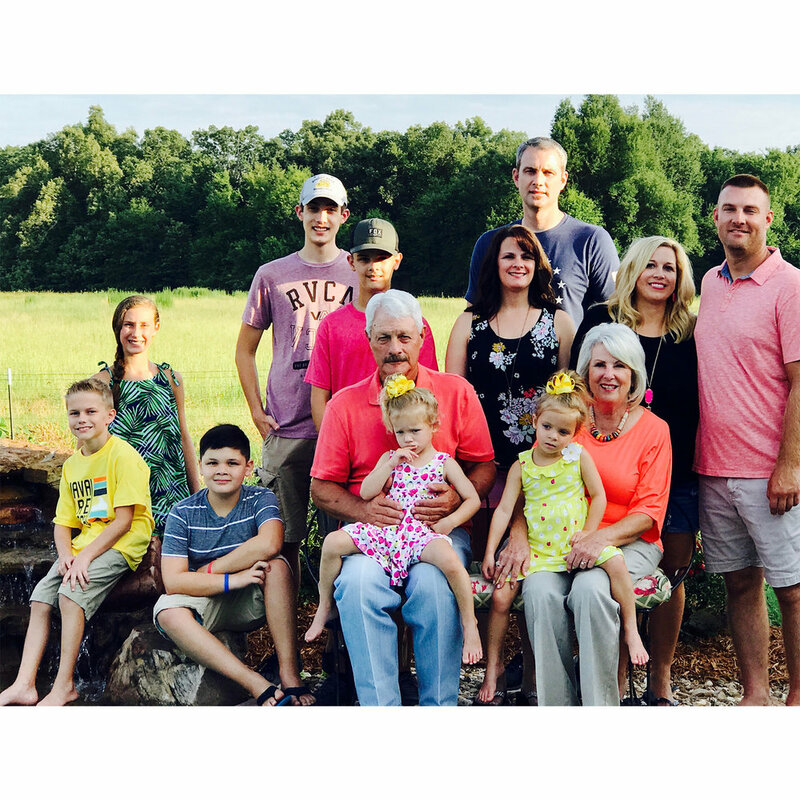 Bratcher’s Nursery and Landscaping is excited to be celebrating 40 years of a family owned business in North East Texas in the town of Blossom. The nursery was originated by Larry and Wynell Bratcher and is located two miles east of Blossom on Farm Road 1502. The business was founded in 1978. The first greenhouse was located in the backyard of the home of Larry and Wynell Bratcher. Today the nursery is operating 18 greenhouses and 10 acres of growing fields for larger plant material and trees. The Bratchers enjoy growing most of the plant material and trees. That enables the Nursery to have plenty of material on hand for all landscaping needs for residential and business. Bratcher’s Nursery grows everything from Azaleas, Boxwoods, Hollies, Hydrangeas, Grasses and much more. They have also just recently added several perennial lines by popular demand. Larry Bratcher maintains and monitors the tree production and grows Live Oaks, Maples, Bald Cypress, Oaks and lots of tree varieties. Many of the fruit trees and roses they carry are from popular wholesale distributors such as Dave Wilson’s Nursery. Larry also grows all the crape myrtles of new and hardy varieties. The retail store has a broad selection of organic products, fertilizers, potting soil, weed killers, and soil amendments. Wynell added some fun lines for gardeners gifts such as garden flags, garden shoes and pottery as well as gift cards. The outdoor nursery provides a large bedding plant area for tropical, annuals, and perennials. They offer bulk hardwood mulch. Residential and commercial landscaping is offered by Matt and Larry Bratcher. Matt Bratcher is Larry and Wynell’s youngest son who has worked with Larry at Bratcher’s Nursery for 18 years. He is married to Stacie Bratcher and they have 4 children, Mackenzie, Anderson , Ellasyn and MiaBell. Stacie works for Special Services at Paris ISD. John Bratcher is the eldest son and is the recent owner of 107 restaurant in Paris. He is married to Alishia Bratcher and they have 3 sons, Caleb,Jacob,and Joshua. Alisha works as a nurse for Paris Regional Medical Center. Larry and Wynell are very proud of their family. They are members of the Fellowship Baptist Church in Blossom.